We’re at work producing a piece on the bleeding edge work being done at The University of Arizona Medical School. Firehouse at work on series of ten political spots for a Political Action Committee. Local actors Dean Steeves and Leslie Abrams solving world problems over morning coffee. We're shooting with The National Science Foundation and "Science Now," exploring optics research with lasers and holograms. You may dread seeing the "spinning beach ball," but we're talking about holographic projections transmitted via internet. We enjoyed providing crew services for senior care provider Caremore and their Los Angeles advertising agency Copper Canyon Media on a shoot here in Tucson. We spent a few day learning the finer points of wealth management with Focus Financial Partners. Firehouse providing crew services for New York's QuidPro Video. We're working with Captain Mark Kelly and the World View team to describe what you'll be seeing floating along at 100,000 feet attached to a balloon with a diameter of the University of Arizona football stadium. Occasionally, an animated character appears that changes fundamentally the way we view cartoons, the way they're designed, the way they move around the screen. Such characters — Mickey Mouse, Sheriff Woody, Wile E. Coyote, Bugs Bunny — force response, both from the animated character community and the audience. To me, these characters are justifiably called classics, and I have no doubt that Sulphur Springs Valley Electric Co-op's Max the Meter will someday fit as naturally within that list as Mr. Clean or The Michelin Man. One ought to be wary of making such claims, but in this case, they're justified at every level. In the area of production, Max the Meter is nothing less than a breakthrough. Max -- with producer Greg Booth, graphic designer Dale Ide and editor Christian Bruncsak, who helped Ide with compositing — is the first character to fuse the spacious clarity of southern Arizona and the raw density of the graphic novel. That's the major reason why the result is so different from 2009's "Meter Miser Measure." On that spot, for instance, individual movements were deliberately obscured to create the sense of one huge spinning electrical meter. Here, the same power is achieved more naturally. Four years ago, in a Willcox bar, my friend Ned Culver and I watched Max the Meter give a performance that changed some lives — my own included. About a similar night, Culver later wrote what was to become animation criticism's most famous sentence: "I saw animation's future and its name is Max the Meter." With its usual cynicism, the world chose to think of this as a fanciful way of calling Max the Next Big Thing. I've never taken it that way. To me, these words, shamefully mistreated as they've been, have kept a different shape. What they've always said was that someday Max the Meter would shake men's souls and make them question the direction of their lives. That would, in short, do all the marvelous things inantimate objects brought to life had always promised to do. It poses once more the question that epiphanic moments always raise: Do you believe in magic? And once again, the answer is yes. Absolutely. With apologies to Dave Marsh. Rummaging through our library the other day we came across a box with the name Larry Buchanan written in black magic marker. Inside were an assortment of 1", 3/4" and VHS tapes, and the occasional loose 1/4" audio tape reel. This brings to mind the seemingly sudden disappearance of tape in our industry, but that's a subject for another day. The first time we met Larry Buchanan he told us he once shot a feature film in a space the size of a small insert studio -- 20' by 20'. He wore a panama hat and carried a cane made from some type of exotic polished wood. He was often accompanied by his wife, whom he referred to as "Lady Jane." Larry told us he was in the process of securing the rights to all of his movies, and wanted to make a series of DVDs that included the original films and commentary by the cast members -- at least the ones he could find who were still alive. If you're not a student of 60's era drive-in movies (you're not? ), you've probably never heard of Larry Buchanan. But if you're of a certain age and can remember seeing films like "Free, White and 21," or "Underage," you know Larry Buchanan was one of the first progenitors of the sexploitation/blaxploitation genre. He was known mostly for "Mars Needs Women." He often talked about making a sequel, one we insisted he title, "Venus Needs Velcro." That was never to be, but for a period of about three years we re-cut and re-packaged the odd sequence or soundtrack in preparation for, well, we were never quite sure what. Later on, he would arrive via an older model silver Mercedes sedan, his driver sitting in our lobby patiently waiting while thumbing through trade magazines. The last time we spoke with him, he had been struck with valley fever and was calling from his hospital bed asking if we could send a dub of his film, "Goodnight Sweet Marilyn" over so he could give it to one of the nurses. He then wanted to put us on the phone to vouch to the nurse that he had really been the director. The Firehouse crew just returned from Pinehurst, North Carolina and the U.S. Open championships. 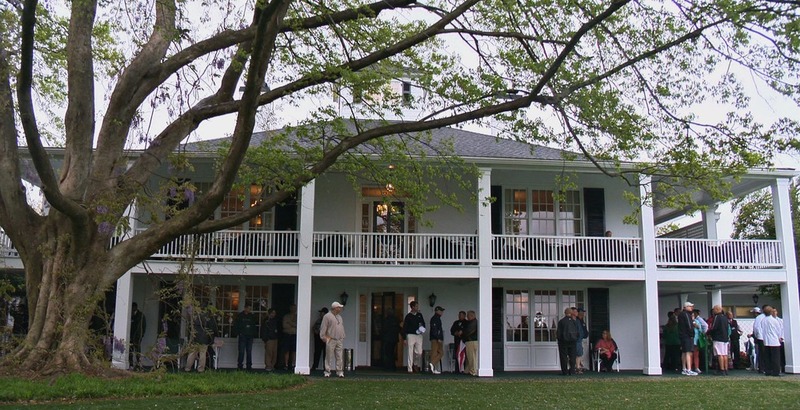 This year saw both men's and women's tournaments played back to back on historic Pinehurst #2. Cameraman Keith Page, soundman Mike Andrews and editor Christian Bruncsak spent the two weeks providing continued support for Fox Sports Asia and their coverage of major PGA tournaments and World Golf Championship events. How is it that President Dwight D. Eisenhower's Air Force One (the first Air Force One) was sold by the military to a crop duster who used it for parts? We're working on a program examining the historical significance of the plane, now decaying on a dirt lot at Marana Regional Airport. Firehouse just returned from a week at Augusta National Golf Club and The Masters. We're providing camera crew and editorial services for Fox Sports Asia and their expanding coverage of golf in the U.S. and abroad. Next up in June is both men's and women's U.S. Opens at Pinehurst #2 . Firehouse is working on a series of promotional pieces for The Eller School of Management. Eller College Undergraduate Programs rank #12 among public business schools nationwide and #24 among business schools overall in the 2012 U.S. News & World Report survey. James Anaya, United Nations Special Rapporteur on the Rights of Indigenous Peoples, has been nominated for the Nobel Peace Prize. Anaya is Regents' and James J. Lenoir Professor of Human Rights Law and Policy at the University of Arizona. We produced this short profile in 2010. We shared in some investment philosophy while shooting with Austin, Texas firm Dimensional Fund Advisors. When not discussing the current state of emerging markets, we were shooting a profile of Dimensional associate Brian Murphy of Tucson's Pathway Financial. 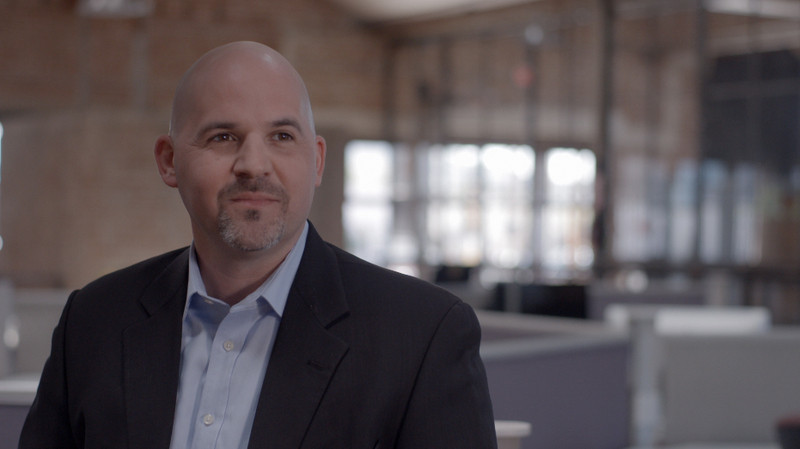 Shooting with Centerline Digital of Raleigh, North Carolina and IBM. We spent some time at Sinfonia, a home health care provider start-up that's putting to use some of IBM's new server technology. Shooting with two F3 rigs with Pix240I recorders to s-log, a zeiss cp.2 prime lens set and an Angenieux 24 -290 zoom. And a rogue Canon 5d for some pick-up material. This and some other important questions are answered in a program we're working on for the Pima County Rideshare program. We developed and wrote the script looking at irrational fears of alternative transportation - biking, riding the bus, and carpooling. With a great performance by local actor Grant Bashore as the skeptical commuter. We've been shooting with producers from Maryland's Maxim Healthcare on a profile of one of their star caregivers, Tucson's April Autrey. Maxim provides home healthcare and medical staffing service throughout the U.S.